Ireland is thought to have been inhabited from around 6000BC by people of a mid-Stone Age culture, about 4,000 years later, tribes from Southern Europe arrived and established a high Neolithic culture. 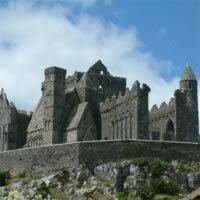 Places to see include: Jerpoint Abbey, Hill of Tara, Newgrange, Rock of Cashel and much more! The Ring of Kerry (Iveragh Peninsula) is a part of the mystical & unspoiled region of Ireland that has attracted visitors for hundreds of years. Its spectacular beauty is beyond question. It provides an amazing insight into the ancient heritage of Ireland and a landscape carved out of rock by the last Ice Age 10,000 years ago. 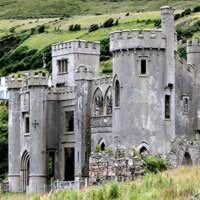 Ireland`s countryside is dotted with castles that range from romantic castles and towers that are in ruins to stately Chieftain Castles and Irish Castle Hotels. They are all filled with character and history. Many of these castles are medieval, dating from the 11th to the 15th century. From uncanny lunar landscapes and the powerful Atlantic to labyrinthine caves and crystal clear waterways. Ireland enjoys over 714 miles of spectacular coastline, surrounded by the mighty Atlantic on the west and the Irish Sea on the east. As well as towering cliffs, clear fresh waters, pristine sandy beaches. Killarney (Cill Airne in Irish) is the gateway to the Ring of Kerry and is one of best places in Ireland to explore the outdoors. The attractive town is outshone by the Killarney National Park and the surrounding countryside with its mountains, lakes, woods and overall beauty. Killarney town has charming architecture and style reminiscent of the late nineteenth century and offers the fine restaurants, gift shops and traditional pubs. About 6 miles west is the Gap of Dunloe with steep sides and deep glacial lakes, it offers spectacular scenery. The Ring of Kerry meanders around the Iveragh Peninsula with sensational views, especially at Caherdanial where you will find Ireland's only beach pub. At regular intervals you will come across restaurants, cafes and gift shops majoring in Irish crafts. Another landmark is the Ross Castle, a square medieval tower which was built by the O'Donoghues in the 15th century, situated on the shores of Lough Lein. Muckross House and Gardens are also worth a visit. Ring of Kerry, Muckross House and Gardens, Three Lakes of Killarney - Lough Léin, Muckross Lake, Upper Lake, Ross Castle on Lough Léin, Killarney National Park, Gap of Dunloe, Ladies View, Torc Waterfall, Town of Killarney and much more! 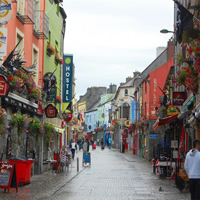 Galway City known as the `city of the tribes` is a thriving, bohemian, cultural city on the western coast of Ireland. It is a popular seaside destination with beautiful beaches and long winding promenade and has a buzzing cosmopolitan city centre. The city is a joy to explore with its labyrinthine cobbled streets, colorful shop facades and busy café/ bar culture. The city is renowned for its thriving Irish Theatre, arts, music and culture scene and Galway plays host to a number of internationally renowned festivals throughout the year. Eyre Square is Galway`s best known sight. 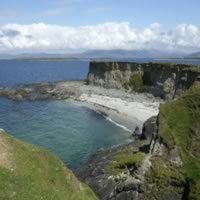 Nearby are Kylemore Abbey, Ashford Castle, the Aran Islands and Connemara National Park. Kylemore Abbey, Ashford Castle, Connemara National Park, Aran Island, the Burren region across Galway Bay, Lynch Castle, Galway City Museum, the National Aquarium, Salthill beach, Spanish Arch, festivals like the annual Galway Arts Festival and much more! Limerick is the third-largest city in the Republic of Ireland. The history of beautiful Limerick, on the Shannon River, goes back over a millennium. The Vikings and the Old English inhabited a walled city to the north of the current city center, while the native Irish lived to the south across the Abbey River, a tributary of the Shannon. The end of the Williamite Wars were fought in Limerick, and you can learn more about the war`s impacts at the Limerick City Museum and the 13th-century King John`s Castle. It wasn`t until the eighteenth century when Edmund Sexton Pery designed the current city center, a living showcase of Georgian architecture. Limerick is a resurgent city ready to welcome tourists with a smile. King John`s Castle, St. Mary`s Cathedral, The Hunt Museum, Limerick City Gallery of Art, Limerick City Museum, Frank McCourt Museum, The Treaty Stone, Newtown Pery, King`s Island, Limerick Milk Market, People`s Park and so much more! Founded in the late 6th century by Saint Finbarr, Cork is Ireland's second largest city. A famous landmark is the Shandon Steeple of St. Ann's Church, which contains the Bells of Shandon. Other interesting places to visit are the English market in the center of the city, the University founded in 1845 and the very steep St Patrick's Hill, from the top of which are magnificent views over the entire metropolis. The River Lee flows through the city forming one of the world's largest natural harbours. The Shandon Bells, Saint Finbarr's Cathedral, the Cork City Gaol, The English Market and the nearby Blarney Castle and Cobh Harbor. Waterford, located on the River Suir, is the oldest city in the Republic of Ireland and one of the country`s largest population centers. The storied history of Waterford started in 914 CE, making Waterford older than most European capitals! Not only can people learn a lot about history walking down these winding, hilly streets, they can take a special sovenir home: authentic Waterford crystal! Reginald`s Tower, Bishop`s Palace, House of Waterford Crystal, Clock Tower on the Quays, Beach Tower, Double Tower, Treasures of Waterford Museums, Mount Congreve, and so much more! Ireland`s smallest city both by area and population, Kilkenny is a beautiful medieval city with narrow streets, well-preserved churches, a great castle on a hilltop, and many old buildings. Kilkenny`s city center can also brag about its nightlife, live music, and stand-up comedy scenes. One of Ireland`s largest arts festivals is based here, as are a number of craft fairs and comedy festivals. The Tholsel, Kilkenny Castle, Butler Gallery, Rothe House, St Canice`s Cathedral, The Black Abbey, Black Freren Gate, and so much more! One of our top selling vacation packages! This train package will take you between two gorgeous cities in Ireland: Dublin (rich in cultural and literary history, and today boasts thriving modern amenities alongside quaint, old pubs on tree lined streets); and Galway (known, believe it or not, for its stunning beaches and flourishing traditional Irish culture; music, theater and art). 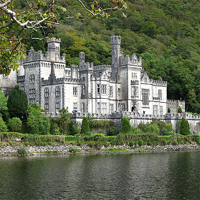 You will visit the exquisite Connemara and Kylemore Abbey. Travel between these cities by very convenient train rides which allow you an opportunity to observe the lovely country side. This is a flexible vacation package. Select your number of nights in each city, desired hotel and activities. A favorite vacation package that allows you to experience the best of Ireland on your own terms! Spend a few nights in Dublin (home to a rich literary tradition, stunning scenery, and fantastic food). 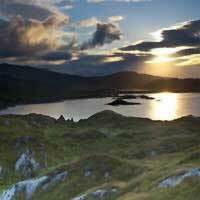 On your last morning, pick up your rental car and head for Cork (the `Rebel City,` where you can see the charming Blarney Castle, whimsical sculpture gardens, and moody Drombeg Stone Circle), continue to Killarney (the unforgettable Muckross House and Gardens are a must see as is the breathtaking Ring of Kerry) and Galway (Connemara and Kylemore Abbey are simply stunning). End your stay in lively Limerick (a bubbling, revitalized city that honors its past as it looks to the future). Please note, your return flight will be out of nearby Shannon Airport. This is a flexible package. Select your number of nights in each city, rental car, desired hotel and activities. Take Ireland into your own hands with this popular self-drive package in Europe! Begin with a visit to Dublin (authentic Irish bars, trendy coffee shops and impressive culture set against a lush scenic backdrop), then proceed to historic Kilkenny (with its large castles and abbeys; Kilkenny Castle, Jerpoint Abbey). Continue to world-famous Waterford (Waterford Crystal; clear, pristine beaches and pretty villages sit perched on the edge of beautiful bays). From there drive to Cork (Blarney Castle, Old Midleton Distillery, Drombeg Stone Circle), then visit Killarney (Muckross House and Gardens, Ring of Kerry). Proceed to Galway (Connemara, Kylemore Abbey) and finally, visit charming Westport in county Mayo (Georgian Estate town) before returning to Dublin. This is a flexible package. Select your number of nights in each city, desired hotel and desired rental car. 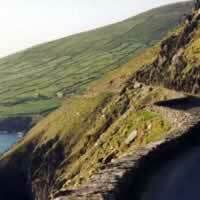 Visit Galway, Dingle, Cork, Kilkenny and Dublin with a rent a car. 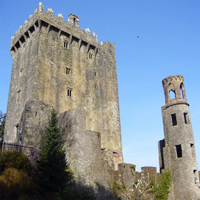 Pick up your car in Shannon then drive Galway (Connemara, Kylemore Abbey); proceed south to Dingle (Dingle Penninsula), then continue to Cork (Blarney Castle, Old Midleton Distillery, Drombeg Stone Circle), proceed to Historic Kilkenny with its large number of castles and abbey`s. 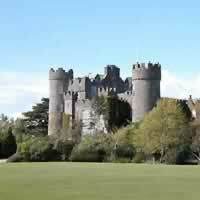 (Kilkenny Castle, Jerpoint Abbey) and end in Dublin. This is a flexible package. Select your number of nights in each city, desired hotel and desired rent a car. An unforgettable vacation through the Ireland of your imagination, with the castles, abbeys and lush countryside that the country is famous for! Pick up your rental car in Shannon to begin your adventure, drive to Galway (Connemara, Kylemore Abbey). Proceed to Dublin (with a mix of authentic bars, trendy coffee houses and incomparable warm welcome) for a visit, then continue to historic Kilkenny with its large number of castles and abbey (Kilkenny Castle, Jerpoint Abbey), from there visit Killarney (Muckross House and Gardens, Ring of Kerry). Lastly, visit the charming medieval city Limerick (King John`s Castle, Lough Gur Neolithic Settlement and Stone Age Centre). Return to Shannon. This is a flexible package. Select your number of nights in each city, desired hotel and desired rent a car. With a rental car you have the flexibility to visit several of the most beautiful destinations in Ireland on your terms! Begin your desired stay in Dublin (centuries of literary tradition, intimate pubs and trendy cafes all set among lush green backdrops), then pick up your car and depart for Waterford (home to famous Waterford Crystal; clear, pristine beaches and pretty villages perched on the edge of beautiful bays). Continue to Killarney (Muckross House and Gardens, Ring of Kerry), then to Galway (Connemara and Kylemore Abbey are stunning and not to be missed). From here, you continue to Westport, in county Mayo (a quaint Georgian Estate town). And finally, visit Sligo (Yeats County) before returning to Dublin. This is a flexible package. Select your number of nights in each city, desired hotel and desired rent a car. This is a flexible vacation package. Select your number of nights in each city, desired hotel and activities. Take Ireland into your own hands with this self-drive vacation package. Experience beautiful Dublin (a charming blend of modern life with ties to its rich cultural history), then pick up your rental car for a drive to Galway (where the sights Connemara and Kylemore Abbey are sure to impress). After soaking up Galway`s magic, continue to the medieval town of Limerick (see King John`s Castle, Lough Gur Neolithic Settlement, and Stone Age Center). Explore everything on your time and your terms! This is a flexible vacation package. Select your number of nights in each city, desired hotel and activities. Spend a few days in Dublin, then continue to County Clare (Cliffs of Moher), follow that with a visit to Galway (Connemara, Kylemore Abbey). On your return to Dublin, depart early in the morning to enjoy some of the historical sights at County Meath or County Westmeath, and end with a night in Dublin. A fantastic opportunity to see glorious Ireland with this self-drive package. Take your vacation into your own hands and explore at your leisure! Spend your desired stay in Dublin (rich literary history, quaint authentic pubs and trendy coffee houses amid lush backdrops), then pick up your car and depart for Galway (Connemara, Kylemore Abbey). Then continue to the stunning medieval city Limerick (King John`s Castle, Lough Gur Neolithic Settlement and Stone Age Centre) before returning to Dublin. This is a flexible package. Select your number of nights in each city, desired hotel and desired rent a car. This is a flexible package. Select your number of nights in each city, desired hotel and desired rent a car. Ireland is a country of history, majestic sites and an exciting future! Begin your adventure with a visit to Dublin (lush countryside, traditional pubs and trendy coffee houses), then pick up your car and drive to Kilkenny (Kilkenny Castle, Jerpoint Abbey), continue on to Country Kerry (Ring of Kerry, Muckross House and Gardens), then on to County Galway (Kylemore Abbey, Aran Islands) and return to Dublin. Be sure to leave early and stop in County Meath or Westmeath on the return drive (Clonmacnoise, Newgrange, Trim Castle). This is a flexible package. Select your number of nights in each city, desired hotel and desired rental car. Experience Ireland with a rental car, allowing you to take control of your vacation for an unforgettable experience! After an overnight in the charming medieval city of Limerick, head north to Galway (home to the stunning Kylemore Abbey, magical Aran Islands, and other countless castles). Next is lively and historic Dublin (literary legends hail from here as do world-famous beers and whiskeys; the city boasts intimate pubs, charming coffee houses, and fantastic shopping)! Then admire the charming countryside areas of Waterford (famous for its crystal, quaint villages and pristine beaches) and quirky Cork (where mystical Blarney Castle stands among friendly fishing villages). Follow this with the captivating area of County Kerry (featuring the Ring of Kerry, beautiful Muckross House and Gardens). Finally, take a night to rest in Limerick and return your car at the Shannon airport the next morning before flying home! This is a flexible package. Select your number of nights in each city, desired hotel and desired rent a car. 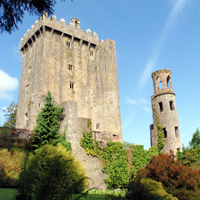 A fantastic opportunity to see Ireland on your own with this customizable vacation package. Begin with a stay in Dublin (castles, pubs, trendy coffee houses, art, history) and pick up your rental car then depart early in the morning for a visit to County Wicklow (Powerscourt Gardens) before continuing to Waterford (home of world-famous Waterford Crystal, Lismore Castle). Then visit County Kerry (Ring of Kerry, Muckross House), continue to County Clare (Cliffs of Moher) and then on to Galway (Kylemore Abbey, the stunning Aran Islands). Finally, leave Galway early for a stop in Meath or Westmeath (Hill of Tara, Clonmacnoise) and end with a night in Dublin. This is a flexible package. Select your number of nights in each city, desired hotel and desired rent a car. A unique vacation package, with the oppotunity to explore on your own time. Enjoy bustling London (rich is history and royalty, full of dining, fabulous shopping and culture), then catch a flight to Shannon to pick up your rental car and drive to Galway (clear, pristine beaches and pretty villages sit perched on the edge of beautiful bays; Connemara and Kylemore Abbey are stunning). From there continue to Sligo and Belfast. Return to Dublin for your flight home. This is a flexible package. Select your number of nights in each city, desired hotel and desired rent a car.